April 19, 2017, 10:48 p.m.
Finding your passion can feel impossible at times. I mean, a passion is something that you love to the point that you don’t ever get bored of it and a lot of people don’t quite know what that is for them. The thing that everybody needs to understand is that you don’t need to know what your passion is by a certain time; you just have to continue to try new things and put yourself out there until you've found it. Personally, I found my passion pretty early on. 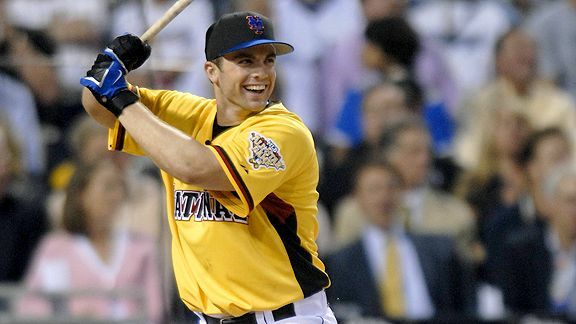 Over a decade later, I can still remember falling in love with baseball by watching David Wright clobber balls at the 2006 Home Run Derby. The next day, in Hollywood fashion, Wright sent another homer over the wall in the All-Star game and I was hooked. Unfortunately, the Mets’ devastating loss in the championship that same year will probably be engrained in my memory for the rest of my life, but those things happened when I was 8 years old and I still vividly remember them to this day. Whether I was captivated by David Wright’s mammoth homers or feeling like I got my soul ripped out of my chest while watching the Mets lose the biggest game of the year, I knew that I’d found my passion: Sports, and more specifically baseball (and, as I’d find later, football as well). But, that’s the thing, a passion makes you feel something that very few other things – if any – can make you feel. Once you’ve found that thing that makes your blood pump and excites you just from thinking about it, there’s no question. You know you’re passionate about it. That being said, the most vital thing to do is put yourself out there, because I also remember being 6 years old and asking my Dad if I could turn off the Jets game so I could play my GameCube. At the time, I didn’t care who scored a touchdown and had no idea that David Wright even existed, I just wanted to play Super Smash Bros. and call it a day, but eventually I started going to games with my Dad and actually paid attention to what was going on. Since then, I’ve never looked back. Honestly, I could play baseball and football all day and night and be the happiest kid in the world. Admittedly, that’s why I find myself counting down the days for winter to turn to spring every year. For most people, spring means warmer weather and flowers, but for me spring is baseball season. That’s a passion – my passion – and there’s no question in my mind, because I could spend hours reading stats and articles on the Mets’ next move and feel like it’s only been a few minutes. To me, there’s something so intense about the matchup between a pitcher and a batter, almost like a duel, because one has to lose and one has to come out on top – and they decide which is which. Truthfully, I think it’s that competition and incessant desire to improve yourself so that you can come out on top that makes me love baseball – and sports in general – so much. As the saying goes, time flies when you’re having fun and that’s exactly what your passion should be for you. Find that thing that makes hours feel like minutes.